Breaking the unwritten rules of global diplomacy, the Trump administration is now in violation of the multilateral Joint Comprehensive Plan of Action, or in plain language the Iran nuclear deal. Nuance is notoriously absent in what can only be described as a unilateral hard exit. All suspended United States sanctions against Iran will be reinstated, and harsh additional ones will be imposed. It does not matter that the International Atomic Energy Agency, orIAEA, repeatedly confirmed Iran was complying with the JCPOA as verified by 11 detailed reports since January 2016. Even US Secretary of Defense James Mattis vouched for the stringent verification mechanisms. 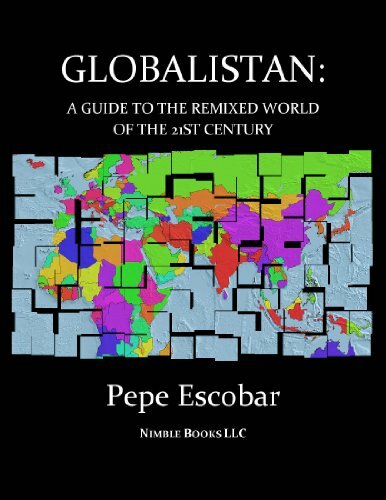 GLOBALISTAN :How the G... Pepe Escobar Check Amazon for Pricing. Facts appear to be irrelevant, though. The JCPOA is the Obama administration’s only tangible foreign policy success, so, for domestic political reasons, it had to be destroyed. President Donald Trump’s opening address to the “Iranian people” during his White House speech also does not cut it. The overwhelming majority of Iranians support the JCPOA, and counted on it to alleviate their economic plight. Moreover, Trump’s regime change advisers support the exiled People’s Mojahedin Organization, or MEK, which is despised beyond belief inside Iran. As a minor subplot, rational geopolitical actors are asking what sort of national security advisor would strategically “advise” his boss to blow up a multilateral, United Nations-endorsed, working nuclear deal? To cut to the chase, the US decision to leave the JCPOA will not open the path to an Iranian nuclear weapon. Supreme Leader Ayatollah Khamenei, who has the last word, repeatedly stressed these are un-Islamic.